Nathaniel Deutsch is an American religious scholar. He is a specialist in Judaism, Gnosticism, and early Christianity and is on the faculty of University of California, Santa Cruz. He attended the University of Chicago, where he received his Ph.D. as well as his Bachelor of Arts and Master of Arts degrees. Deutsch has taught religion at Swarthmore, and is currently a Professor of Literature and History at the University of California, Santa Cruz. He also is co-director of the University's Center for Jewish Studies. 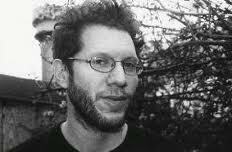 Deutsch was awarded a Guggenheim Fellowship in 2006 to support his research on the Jewish ethnographer S. Ansky for his forthcoming book, The People’s Torah: Ansky and the Invention of Jewish Ethnography.